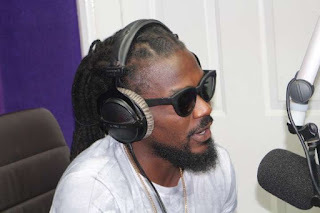 Fans of dancehall artiste Samini who are waiting to attend this year’s edition of the annual Saminifest concert should change their plans because the 2017 edition of the event will not come off. Emmanuel Andrew Samini has told Christian Agyei Frimpong on Onua FM in Accra that the annual week-long event is on hold for this year. Giving reason for his decision to cancel this year’s Saminifest, the dancehall heavyweight champion explained that he wants to try something new. He continued that he plans to embark on a nationwide tour very soon to help him get closer to his fans outside the nation’s capital who have missed him. Talking about the bus tour which will kick off soon, Samini disclosed that he has pumped a lot of money into the project but cannot mention the amount. The previous three editions of the celebration was a week-long event with different activities on each day. They were climaxed with mega concert.